Woodfit Acoustics produce a range of panel styles ideal for wall applications. 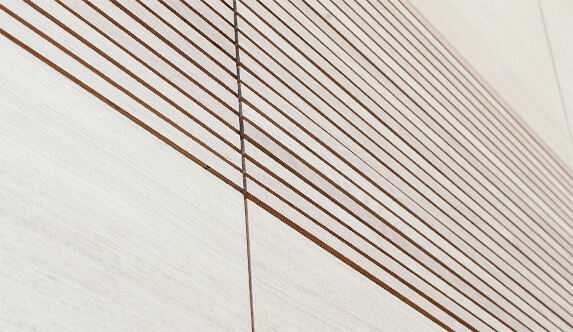 Our standard linear range comes ready for simple wall installation and is often combined with plain panels to achieve the most appropriate acoustic performance. While our slatted range is predominantly used for ceiling applications, it can equally be used as a standalone wall panel, or can be continued between ceilings and walls for a unique effect. Our perforated panels come in standard sizes ideally suited to T-grid ceiling systems, but can easily be customised to wall applications.